Explore the relationship between water and energy use behaviors and learn to implement sustainability right at home! 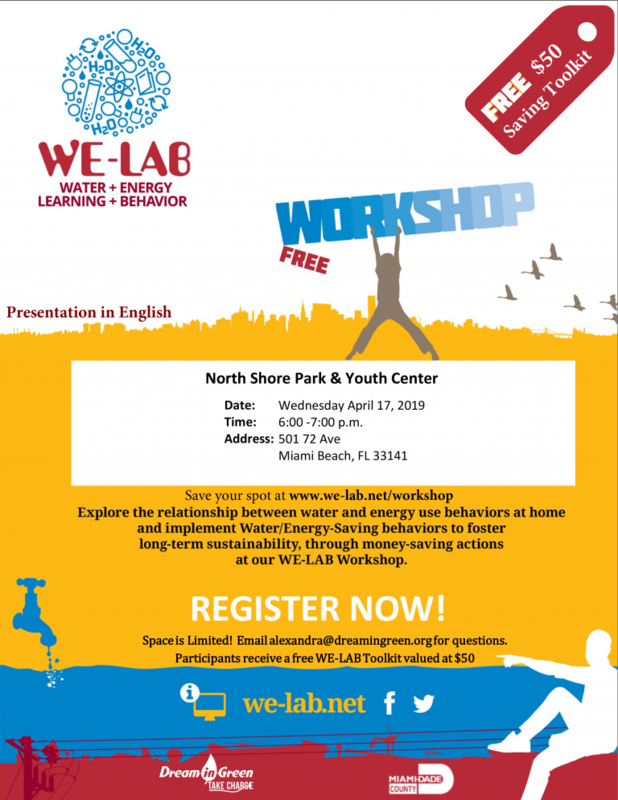 The City of Miami Beach has partnered with Dream in Green to host a water and energy workshop for residents. As a bonus, participants will receive a FREE WE-LAB Toolkit (valued at $50) which includes a water efficient showerhead, faucet aerators, a shower timer, leak detection tablets, light emitting diode (LED) bulbs, and Compact Fluorescent (CFL) bulbs allowing them to take immediate action at home to save water and energy.